Nothing better than pumpkins to liven up your surroundings. This year around, skip the age-old Jack-o-Lanterns and make use of pumpkins to create different kinds of party décor items. 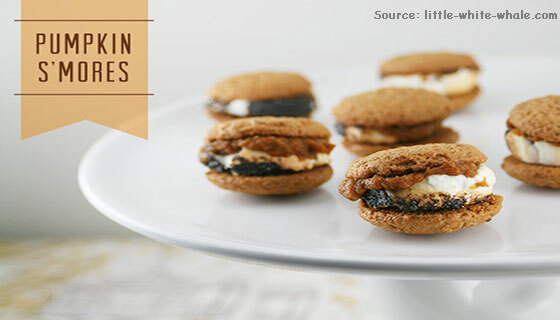 You can use mini pumpkins and turn them into cute little s’mores. Use the medium size pumpkins to make wall art of different kinds, say taxidermy inspired art. You can make use of the large pumpkins into a wood burning stove maybe and paint it black or the color of your choice. A Pumpkin themed home of yours would definitely add a unique touch to your festivities, not to mention, make yourself a talking point amongst your guests. If you are one to add a suave touch to your festivities, then nothing calls amazing quite like matt black decors in your home and for your Halloween party. Matte black silverware and decors are more common than you think. These decorations are plain, elegant and make for a perfect Halloween party idea. Check out different websites and collectibles in that matte black combo. Be the Prince and Queen of the dark and welcome your guests to your dark black abode this time around. Making these cute little Pinatas is easier than you can anticipate. There are a dozen videos that can help you make these for your party. All you need is some cardstock, crepe papers and you are set. We will leave the color combo for you to decide as any color you choose for these Pinatas is bound to complement your party décor. You can hang them around your house or yard and even hand them out to friends and family as they start arriving at the party. Remember those times when you headed out for trick or treating with those small bags and totes from door to door to fill them with delectable treats. Well, you can bring that magic back again by getting these small tote bags and hanging them around your house like the doorknobs, sofas and chairs. You can even gift your guest’s bags filled with goodies and treats. The guests are definitely bound to love some of the creative gesture of yours. Dress up as your favorite character or go vintage with a large assortment of costume and dresses on Anytime Costumes. Get a goth theme going on these Halloween with spooky lace covered arrangements. You can procure these on different websites and use them around your decorations like glass vase candles. Put them all across your home and dim the lights to make these babies shine out in your party. Your guests are bound to love this freaky spooky gesture. After all, what’s a Halloween without a little spooky showcasing! We definitely don’t mean that literally. Halloween is definitely the time to play and what better way to bring out a few laughs than a couple of drinks with lethal labels on them? Ask your guests to pick their poison and let them choose for themselves what there is. You can download different apothecary-inspired labels from the internet and get them printed on sticker papers. It’s Halloween and your party so why not make it the best version of yourself. Decorate your front door to complete that Halloween vibe. You can make use of a number of things here including making a garland of oak leaves, dried corn husks and gourd scarecrows that you can color and put around on your front door and yard. You can also draw out skulls and figurines to decorate on your doorstep. Get the guests guessing and in awe from the very first time they arrive at your front door. 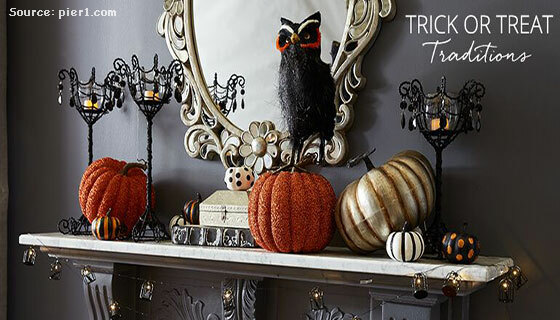 Halloween is supposed to be spooky so why not recreate that vibe in your home as well? How about making Halloween ghosts for your party? It’s really easy and doesn’t require much effort. All you will need in this endeavor of yours is some cheesecloth and liquid starch to paint it. 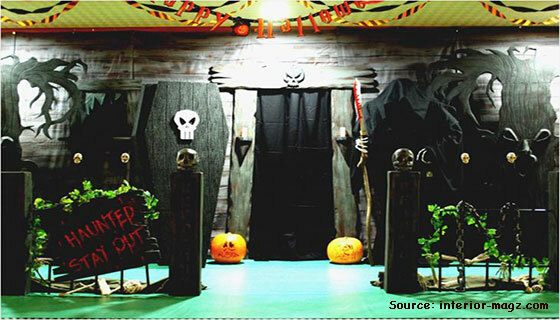 So, there we have some simple and basic Halloween party ideas that you can incorporate for your party.